The differentiation of self-construct is a developmental construct from the Murray Bowen’s Family Systems Theory and comprise of both the intra and the interpersonal dimensions. Intrapersonal dimensions connote the capacity to regulate affects whereas the interpersonal dimension refers the ability to negotiate the relational dialectic of togetherness and independence (Robinson, 1995). The differentiation of self-has shown a consistent positive relationship with a variety of different signs of well-being. Therefore, this empirical notion supports Bowen’s theoretical affirmation that a person’s level of symptomatology and the relational distress differ depending on the person’s extent of differentiation of self (Perinbanayagam, 2000). As a progressive process, self-differentiation encapsulates the internal interplay between separation (autonomy) and togetherness (connection) in its progress towards evolving goals. The pathway to adulthood is often a complex process that is paved with challenges and difficulties. Differentiation of self-underlines the primal task that every individual faces in this regard. The Bowen theory emerges as one of the few comprehensive theories explaining from a multigenerational and systemic perspective the psychological development. It is the theory upon which the foundation of family therapy stands. Therefore, it is distinct from other theoretical approaches to individual psychotherapy. The essential ingredient in Bowen theory differentiation of self emerges as the critical variable towards mature development and the achievement of psychological health. In the theory, the construct is viewed and defined differently. It is regarded as the degree to which an individual has the potential to balance intellectual and emotional functioning and maintain autonomy and intimacy is relationships (Carver & Scheier, 1978). Intrapsychic level view the differentiation as the ability of an individual to interject and differentiate feelings from thoughts and choose between being guided by either intellect or emotion. A high level of differentiation equips an individual with the ability to be calm and have the ability to maintain logic in reasoning. Flexibility, adaptability and the ability to cope with stress are some characteristics of differentiated individual both at the rational and emotional levels while maintaining autonomy (Hardy, 2013). On the contrary, emotional outburst and reactiveness appears to be the character of poorly differentiated persons. They find it inherently difficult to remain calm in their response to the emotionality of others. They get trapped in the emotional world and the decisions made are primarily based on what feels right as opposed to what is right. The differentiation of self within relationships has certain attributes such an individual sense of their own limit with a clear understanding of where their abilities end and someone else begin. Courage and clarity and the ability to stay in course with a strong spiritual and emotional stamina are also other attributes. Resisting the impulse to attack and always staying connected are also some other characteristics of self-differentiated individuals (Storek & Furnham, 2013). 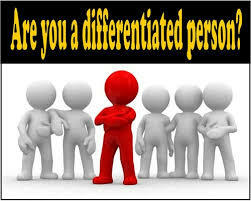 A differentiated individual frees themselves from their family’s process in defining themselves. Therefore, one has different opinions and values as opposed to their family members. Any conflict is analyzed calmly and a different response is given in the future. Fusion and emotional cutoff do not prevail in a scenario where differentiated individuals are overwhelmed by family and emotional relationships. Better psychological adjustment is the preamble of differentiated individuals as they are well adjusted based on the situation at hand. The level of differentiation has various consequences to an individual such as chronic anxiety that is predominant to less differentiated people. As a construct, self-differentiation may be used to predict the level of an individual’s IQ and also the emotional stability of the person. Any research has to be deemed as either varied or invalid on the basis of the objectives, aims and hypothesis under study. In this case, the objective of carrying out the research lies with the need to evaluate the differentiation of self and determine its validity from using different parameters. From a theoretical framework, the differentiation of self depicts how people react and respond to different situations and circumstances posed by demands in life. The reaction is relative to the pursuit of goals on a continuum ranging from the most adaptive to the least adaptive. The adaptive approach and corresponding variation depends on a variety of factors that are interconnected such as the solid self which is a part of an individual that does not curve nor is it negotiable for compromises in a relationship (Self, 2002). A good example is a person who is not swayed by fads and opinions, but rather opts to be grounded in their belief and principles. Some investigations conducted on the self-differentiation have been in the university-based samples (KOSEK, 1998). The setting was appropriate, as the differentiation of self is a development construct associated with an essential interpersonal negotiation of a family origin. Therefore, individual relationships and interpersonal association of the lived experience typically takes place during the stage when one attains adulthood. Supporting the validity of the conducted research, a person’s extent of differentiation of self or the initial process of defining self occasionally associated with the act of leaving home (Storek & Furnham, 2013). Followed by living an independent life out of the control of one’s family of origin. Hence, the whole process is associated with the emergence of adulthood considered a defining key in this construct (Perinbanayagam, 2000). Age is used as a variable in the definition of self-differentiation. It offers the construct a validation evidence of differentiation of self. The variable is given more weight by studying older adults and adolescents. Families also regulate how people think and behave and as such, the definition also outlines some aspects of the family that correlate with the differentiation of self. The susceptibility to a group think varies between individuals and the pressure exerted by the group towards conformity also varies outlining the differences in self-differentiation (Robinson, 1995). Less development of an individual differentiation means more impact from externalities as opposed to more developed individuals. In addition, such individuals exercise less control and a passive influence on the functioning of other individuals in the group or the family. Poorly differentiated individuals have a tendency of dependence especially on the approval of others and thus they have no voice of their own. They are more likely to adjust or change their thinking or saying in attempt to please others. Conformity is key in this case where the individuals align themselves relative to thinking as a group as opposed to having independent thoughts. Construct validation in self-differentiation is an extensive process. It is important as an ongoing validity judgment derived from the integration of evaluating the cumulative evidence of internal structure and the external correlations. The differentiation of the self, therefore, is considered in the light of an evolving theoretical framework (Lampis, 2015). Intrapsychic and interpersonal components are captured by the framework. From history, theorists of transgenerational describe family and individual functioning relative to the intergenerational and interpersonal family processes. Some prevalent self-report instruments that are developed within this tradition include the differentiation of self-scale, the emotional cutoff scale and the family of origin scale. The different parameters have an influence in impacting the range of components of differentiation at an interpersonal level. The self-scale is of paramount importance as it outlines the separation between emotional maturity, emotional autonomy and maturity. A significant proportion of the validation evidence comprises of research that examines the external structure as well as the discriminant and the convergence of associations between the differentiations of self. The intentional efforts in assessing the internal structure at the initial scale development also comprise of the undertakings. Although the efforts have been from the exploratory factor analytic approach considered as the first point in the ongoing construct validation process followed by confirmatory factor analysis with some multiple independent samples (Mezo & Short, 2012). The study is organized chronologically to determine the correlation of the differentiation of self to the formulated definition and with specific interest on the Bowen theory. The purpose of this study was to contribute to the ongoing validation relating to the Bowen theory construct of differentiation of self. Understanding self-differentiation is important in determining the identity of an individual relative to their family background. The rationale for conducting validity study on the premise involved in the construct validation does not generalize to the populations or the settings varying from those derived. An explicit validation studies, therefore, is relevant in the cultural generalizability and in determining the internal structural validity of the scale in use (Mezo & Short, 2012). The rationale for conducting construct validation study falls under the clinical utility of differentiation of self. The emergence of differentiation of self as a key indicator of the effectiveness of clinical work with certain individuals and couples highlights the need for confirming its factor structure. A reliable and a valid clinical assessment of the capacity for the affect regulation and interdependent relating do direct not only the intervention efforts but also involves the facilitation of the examination of the treatment progress. Therefore, the intra and the interpersonal dimension of differentiation of self-demonstrated the associations with the clinical outcome of one's wellbeing (Mezo & Short, 2012). The authenticity of any framework or model is determined through its conformity or nonconformity to a given set of standards in the model analysis and evaluation specification. In measuring the differentiation of self construct, the participants comprised of 749 students made up of a large state university in the South. They fluctuated in age from eighteen to fifty having a mean age of 21.07. The sample consisted of 56.1% female and 43.9% male. The participants are comprised of 70.8% White American while 21.4% comprised of Black American, the 4.0% of the mixed race, 1.5% Hispanic, 0.9% Asian or Asian American and 0.7% Native American, and 0.8% other (Elieson, 2000). Differentiation of self-inventory revised is a 46-item, comprising of a self-report measure used to evaluate Bowen’s construct relating to differentiation. Two of the subscales gauge the intrapersonal aspect of differentiation as the other two subscales assesses the interpersonal dimension. The higher scores reflect the superior distinction. The participants asked to proportion how accurate the items concerned them on a scale from one to six. The sample items noted a point of not getting upset on things that one cannot change and on occasions that things go wrong, a talk on them makes things worse (Perinbanayagam, 2000). The measure also uses the parentification questionnaire that consists of 30-item self-report gadget that retrospectively weighs three dimensions of parentification. That is, expressive or emotional parentification, instrumental parentification, and perceived injustice of the parentification course (Shepherd & Perinbanayagam, 2002). Of the thirty items, ten relate to instrumental parentification, ten concern expressive parentification while the last ten perceived unfairness. The applicants rated on how accurate their accounts are on a five-point Likert scale from one indicating, “Strongly disagree” to five showing, “Strongly agree.” Higher scores replicated greater parentification and a perceived unfairness. For this research, scores from three subscales demonstrated instrumental Parentification of 82 while 85 indicated expressive parentification and 90 as perceived injustice (Mezo & Short, 2012). The Brief Symptom Inventory (BSI) was used to evaluate the contestants’ level of mental health symptoms. The Brief Symptom Inventory of a 53-item self-report inventory considered reflecting psychological indication patterns of the psychiatric and general community populations. The study used Global Severity Index of Brief Symptom Inventory. The psychometric properties of the Brief Symptom Inventory plus subscale scores are excellent measures. The Cronbach’s alphas for nine sign sets and global indices that range from 71 to 85 of the participants responded to the questionnaire (Storek & Furnham, 2013). They responded by the means of a five-point Likert scale as from zero to four at the extreme. The calculation of the Global Security Index scores is by a summation of the 53 items, and then dividing by 53 (Perinbanayagam, 2000). The differentiation of the self-validation study 231 Cronbach’s alpha for Global Security Index was 97, specifically for this study sample. Following the Institutional Review Board approval, the recruited contributors took part in the study investigating the link between childhood characters and responsibilities and the adult psychological functioning. With the authorization of the university professors, the approached participants in the undergraduate-level classrooms reached by email. It was by an administration of an electronic survey packet using a web-based functionality. The electronic invitation encompassed a description of the study, a direct through a link to the electronic survey, and informed consent form (Perinbanayagam, 2000). A demographic questionnaire and measures mentioned above was used. The extra course credit provided as an inducement and a compensation for taking part in the study. The factor structure of differentiation of self-inventory revised identified in the study. The data on 1,375 contestants initially examined for the missing data, outliers, and instances of normality, the participants with significant missing data and cases that involve univariate outliers and extreme multivariate outliers based on Mahalanobis distance test. It identified an analysis from that resulted in a sample of 1,279 participants (Storek & Furnham, 2013). To obtain a proportionally diverse sample for the existing study, an arbitrary sample of 50% of White American members removed from the analysis leading to a final sample of 749 participants (Perinbanayagam, 2000). Also, many of the variables displayed both the univariate skew, for instance, skewness critical ratios greater than 2.5 or less and univariate kurtosis and key ratios greater than 2.5 or less than 2.5; the given multivariate non-normality, multivariate kurtosis critical ratio identified greater than 5.00; and a problematic skew and kurtosis values (Roberts & McGinty, 1995). Furthermore, under non-normal situations, the comparative fit index aims to produce benefits that modestly underestimated. In light of these interpretations concerning non-normal data, determination of acceptable model fit was bases on a composite picture of the fit indices. More explicitly, the ratios and guidelines for influential acceptable fit used in a standardized root-mean-square residual the root mean square error of approximation and the corresponding probability of a close fit (Perinbanayagam, 2000). Measuring the validity constructs of convergent is essential in determining the differentiation of self. An essential test in measuring the validity of this constructs is the depression anxiety test scales. There are three measurement scales that are evaluated using this test. The three major variables that are considered in carrying out the test are stress, depression and anxiety that are applied by use of the seven items per scale. In an attempt of achieving a better fit, the model specification in consideration of standardized residuals greater than 4.00 structure and coefficients of less than 40. Response is measured using the frequency of experience ranging from the severity to non-severity of the experience. The presence of unnecessary parameters reflected by significant, negative standardized residuals that suggest problematic indicators that are need of dropping. On the other hand, items with large and negative standard residuals were examined relative with their structure coefficients. The structure factors were deemed as non-significant in terms in comparison to practical significance and the problematic indicators dropped (Elieson, 2000). The examination of the structural factors coincided with the analysis of the correlation between the latent constructs and the cross-loading coefficients. The study seems to offer two crucial implications for family and couple practitioners, predominantly when working with evolving adult clients. First, the support for the use of differentiation of self-inventory revised in clinical assessment. The second implication is the foundation for theoretical integration, which may enhance clinical flexibility and effectiveness. The psychometric information in the study suggests that differentiation of self-inventory revised offers researchers and the clinicians a psychometrically sound degree of the construct of differentiation of self (Perinbanayagam, 2000). As built on the result this study, the recommendation to use the 46 of the item differentiation of self-inventory revised full-scale score as a general assessment of a person’s intra and interpersonal means of controlling affect. It is possible with the attention to functional or dysfunctional relational ways of doing so (Shepherd & Perinbanayagam, 2002). Furthermore, the study suggests that the use of Differentiation of self-inventory revised subscale in combination with the explicit relational subscale. It could provide efficient yet more comprehensive means of assessing the differentiation of self that provides direction for and helps elucidate the modality of treatment (Elieson, 2000). The assessment of the construct of emotional reactivity can also aid the clinician in the specialist care of the therapeutic alliance given the finding that explicit relational subscale scores were a significant correlate of the alliance scores. The research has also demonstrated that differentiation of self-holds the potential to be a relevant construct when assessing treatment effectiveness. Some explicit relational subscale scores projected male partners’ improvement in couple therapy as restrained by relationship (Roberts & McGinty, 1995). In evaluating treatment effectiveness in both individual and family treatment, predominantly researchers and clinicians are interested in evaluating progress in affect regulation and interdependent relationship. The clinical prominence of addressing affect management complications has drawn substantial attention. Affect dysregulation appears to underlie and be present in several types of pathology and emotion-focused therapies. They seem to and intervene in affect regulation processes that have demonstrated clinical effectiveness with a range of presenting concerns (Roberts & McGinty, 1995). In conclusion, there are two emotional processes that are captured by emotional captured clinical interventions. The underlining need for these processes is the promotion of positive affect through prosocial relations and resolving negative emotions. The processes are outlined relative to Bowen’s ideas of intra and interpersonal differentiation. Therefore, differentiation of self emerges as a construct that provides a foundation for a clinical framework that is founded on Bowen theory and the interventions based on emotions. Perinbanayagam, R. (2000). The presence of self. Lanham, Md. : Rowman & Littlefield. Thanks for sharing such info, Some understudy earnestly affixed their environment. They lose their mental level on their study. Understudies goes on wretchedness which affect their study and they can't learn with high present mental level. This good site is very informative to get new ideas. Your article leanth is really good. I read it more time to get better idea. also I got another one: http://www.personalstatementmasters.com/ . It also a good. We should think on these points to clear your basic points. This is belong to physics and students can understand it's reading. So this website is helping a lot to students. It's very essential to have a self-esteem. If don't have trust on yourself. then you'll never be succeed. I'm recently working on MBA dissertation. We sincerely look forward to your valued and continuous support for checking that website. Hope so, you'll enjoy your visit here.